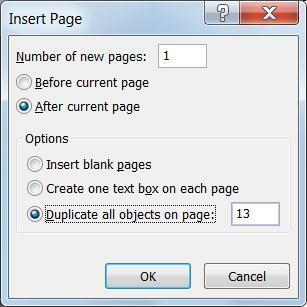 If you have a publication with calendar pages, you can add more pages by following the steps outlined below. 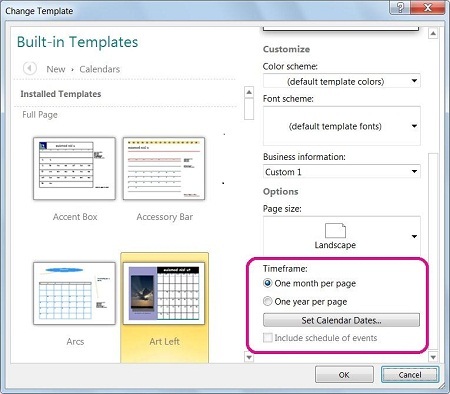 Open the calendar publication that you want to update. On the Page Design tab, click Change Template. 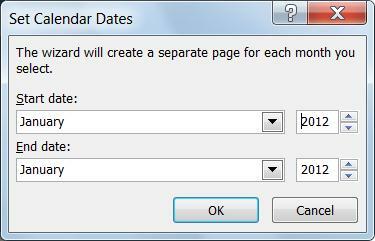 Important: This works only for calendars created using one of the built-in templates (templates that are installed on your computer when you install Publisher). The only other way to change the months on a calendar is to simply add them by hand. In the Page Navigation pane on the left, right-click the page above where you want a new page and click either Insert Page or Insert Duplicate Page. 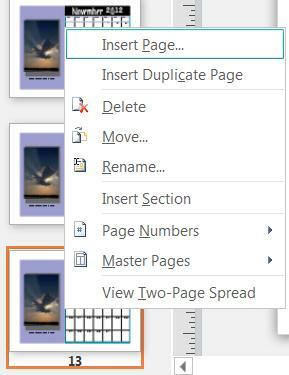 If you selected Insert Duplicate Page, you’re done (a duplicate page is inserted below the original page). 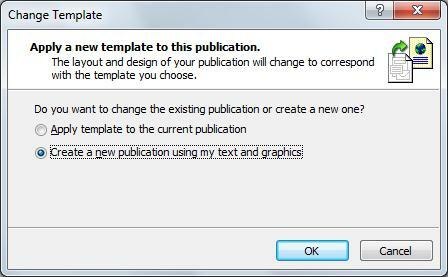 If you selected Insert Page, select the options you want. Now edit the new page with the correct dates.